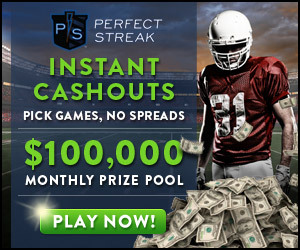 We here at the Sports Script are here to tell you that you should sign up for PerfectStreak.com now. All you have to do is hop on over to the site and sign up for your chance to win money just for picking games! Think you are good at picking games????? 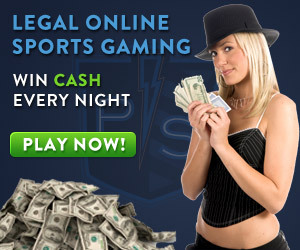 Click the link below and win cash. On top of it all. If you sign up for the site over the next week and send us proof of signing up, The Sports Script is going to pick one lucky winner to get a special prize!!!!!!! !